Dental problems can affect anyone — even those that are diligent about brushing, flossing and avoiding sugary foods. When problems occur, it’s comforting to know that a talented dentist in your area can quickly restore your teeth to their optimal strength and function. The field of restorative dentistry rehabilitates teeth that are damaged, decayed or even missing. This specialty is continually evolving, so it’s critical to work with a dentist that stays abreast of all recent advances. Dr. David Green is the restorative dentist Anchorage trusts for top-quality care. He offers a wide range of options to rebuild, recreate or replace failing or missing teeth. Dr. Green stays at the forefront of the latest research and advances in dental technique and technology through continuing education courses. This knowledge allows him to provide his patients with lasting, beautiful tooth restorations. Dr. Green frequently uses dental crowns (also called “caps”) to rebuild and strengthen damaged or decayed teeth. A crown completely encapsulates the exterior of the tooth, restoring it to a natural appearance and protecting it from additional damage. When a tooth falls out, one of the most common ways to close the gap is with a dental bridge. Traditional bridges are composed of two crowns that bookend an artificial tooth (known as a pontic). The crowns are placed on the teeth on either side of the gap, and the pontic fits into the gap in the middle. Dental bonding is a quick and cost-effective way to remedy slight dental imperfections. The process involves applying a tooth-colored composite resin material to one or more teeth to reshape them or cover up chips, cracks or stains. Bonding is also a great way to mask small spaces in between the teeth. A dental implant replaces the entire tooth structure, from root to crown, to restore biting and chewing function and recreate the appearance of an attractive smile. The implant placement process can take a few months to complete, but with the proper care and attention, implants can last a lifetime. Dr. Green often uses dentures to recreate the look and feel of natural teeth. 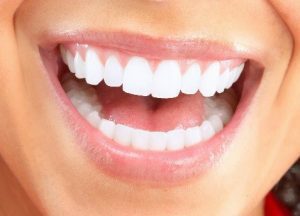 They usually consist of replacement teeth attached to a gum-colored plastic base that rests on the gums. Complete dentures replace an entire arch of teeth and partial dentures replace clusters of missing teeth. Damaged or missing teeth compromise your ability to eat, speak, smile and perform everyday tasks. But with the help of our tooth repair and replacement services, you don’t have to spend another day feeling ashamed or uncomfortable because of damaged teeth. Repairing damaged or lost teeth restores strength and stability to the mouth and reduces pain and sensitivity. Tooth repair also stops the remaining teeth from shifting position in the mouth and prevents the jawbone from deteriorating. Finally, tooth repair is crucial to maintaining a balanced, stable bite. You deserve the comfort and confidence that comes from having a full set of healthy teeth. To learn more about your restorative dentistry options, please call or email Turnagain Dental today. Dr. Green and our entire team look forward to meeting you!